If you're planning a saltwater fishing trip to Florida, picking the right equipment can really help ensure you have fun, successful catches. One of the most important pieces of equipment is your reel, especially if you want to catch larger ocean fish species. Depending on the species of fish, the location, the boat, and other factors, you'll want a different type of reel for weight capacity, spool length, and so on. Here are five of the best saltwater spinning reels for the money you can buy. The regular prices on the low end for the 3500 start around $140 to $200 (approx.) on the high end for the 10500, however it is not difficult to find lower prices online if you shop around. They might seem like a lot of money, but due to the quality and longevity the Spinfisher V is offers great value. So what makes the Spinfisher V the best saltwater reel for the money? The Spinfisher V is arguably the most durable reel on the market. It has a body made completely from metal for added strength, with a watertight design that keeps salt and water out of the ball bearings, drag system, and other important components. The strong materials and protection from salt and water allow it to perform like new through an entire day out on the sea. The Spinfisher V reels feature a drag system called the HT-100 Slammer that uses three carbon fiber washers laminated on fiberglass instead of felt, helping them last much longer. It also has extremely heavy duty bail wire made of aluminum that is highly resistant to warping or bending, allowing for fluid lines that don’t tangle or catch for a very long time. If there is one area where the Spinfisher V falls a bit short, it's the performance. It has good, not great quality as far as its drag quality and smooth reeling. its anti-reverse systems do help get rid of back play, while the capacity rings have a rubber gasket worked into the spool to prevent the line from slipping. The calling card for the Spinfisher V is that it maintains its good, not great performance for a long time through all conditions. With a wide range of models, styles, weights, and line capacities the Spinfisher V series offers a versatile range of reels for saltwater fishing. The variation offers some good for beginners, others for grizzled veterans, and work well with multiple fishing techniques (live bait, regular, etc). If you want the best middle of the road model? Go for the 6500. The Saragosa SW series represents the mid-range reels that Shimano manufactures. Starting with the Saragosa SW 5000 on the low end, it has six models up to the enormous 25000 model (44 pounds of drag capacity thanks to the twin-drag design). Even though they are big, and for bigger saltwater fish, they are very lightweight for their size — from 16 oz to 34 oz. They’re a bit more expensive than the Spinfisher V series, ranging from around $230 to $830 (approx.). Again, you can probably find better prices online, and while they’re expensive there is arguably no other model better equipped to handle the biggest saltwater fish the oceans can throw at you. The body of the Saragosa SW is very durable and rigid, allowing it to hold up to the torque of retrieving the largest ocean fish species. The gears have tight tolerances for a better fit, allowing them to hold up to the wear and tear of constant, frequent use. The gears also have an enhanced durability with hardened brass pinions, and a watertight reel you can submerge in water overnight with no adverse effects. The durable features and strong, cold forged and metal materials used in the Saragosa SW reels help it achieve a long life span. The performance of the drag and retrieving of the Saragosa SW is where it shines. 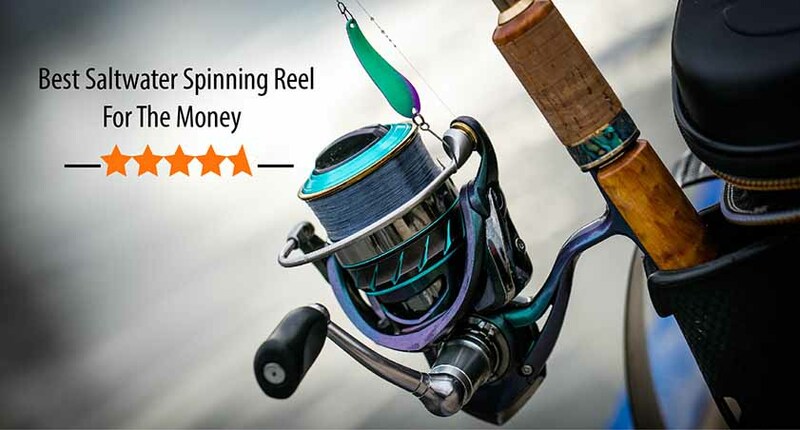 It uses high quality materials and engineering used in their more expensive series, making it one of the best saltwater spinning reel for the money. The gears are cold forged, not cut, so there is less chance of defects and offers an incredibly smooth retrieval even with large fish species. It also has X-Ship for a smooth gear system, where the pinion gear close to the middle of the drive gear to allow for more power to be transferred to the rotor. You can really feel the difference when a big fish puts the pressure on. The Saragosa SW’s X-Tough Drag system allows for a maximum drag capacity of up to 44 pounds, and really excel on high speed tuna and marlin fishing runs. The biggest weakness for the Saragosa SW series is that they are not very versatile. They’re not easy to use for beginners, and while they work very well for the heavier ocean fish species like tuna or Marlins, they’re not as good value for other types of saltwater fishing. KastKing comes from the award-winning company, Eposeidon, Inc, and has a good reputation and ratings for longevity and quality. The KastKing Rover Round Reel comes in three sizes: 40, 50 and 60. It is priced similar to the Okuma Trio series, coming around $45 -$75 (approx.) regular priced with plenty of sales and discounts found online. For its price, the Rover is very durable. It has reinforced anodized aluminum for the side plates and the spool, and precision machined gears made of brass that better resists corrosion. It also uses stainless steel worm gear, shaft, and other components specifically to guard against corrosion. The metal materials also help it hold up against the pressure of fish up to 20 pounds. KastKing is known for their long lasting reels, thanks both to a focus on resisting corrosion from salt and water and for high quality of manufacturing. Where the Rover really shines is in the smoothness of the drag and retrieving system, making it one of the highest rated conventional reels you can buy right now. It comes with a centrifugal braking system and a carbon fiber drag system that keeps it light, strong, and smooth. It is also equipped with non-slip EVA grips, a clicker alarm on the lines, and stainless steel ball bearings with extra shielding to make sure it maintains its smooth operation for a long time. The one knock against it is its weight, as it is noticeably heavier than its competition. The KingKast Rover is one of the most versatile reels you can buy. It can handle saltwater fish up to 20 pounds, it can excel at trolling and bottom fishing, and you can use it equally well for freshwater fishing too. The durability and longevity mean it can be your go-to reel for years. However, it does not automatically come with a level-wind line guide which can make it tricky for beginners and was more designed with seasoned pros in mind. The Okuma Trio High Speed Spinning Reel series comes in three models: the Trio 30s, 40s, and 55s. They are on the lower end as far as price compared to the first two, starting at around $75 and up to $90(approx.). Despite the lower price tag, they’re made with a hybrid design with a lot of interesting features that makes it good value. The Okuma Trio reels don’t have the high-end durability of the top models but do come with a hydro block feature for a watertight drag seal to help keep the salt water out. It also comes with a number of corrosion resistant coating, high-density gearing, and a rigid aluminum handle to help hold up to the stress of bigger saltwater fish. There’s only so much longevity you can give to a less expensive model that has to cut some corners on quality materials. That said, the Okuma Trio will last a lot longer than other models in its price range, especially with bigger saltwater fish. And you could buy three of them for the price of one Saragosa SW. The quality of the design shines through with the Okuma Trio’s performance. It has Crossover Body and Crossover Spool designs, which uses stamped aluminum stem with two side plates made from graphite. The strength of the aluminum decreases the flex in the gear and shaft so everything stays properly aligned. The spool has an aluminum drag chamber and has graphite housing. The aluminum design helps the reel stay stable under stress from the pull of big fish, and the graphite keeps it very light. Has very smooth reel drag, especially for its price. The other advantage of the Okuma Trio reels is they are very versatile. The lightweight means they’re not too cumbersome to use for smaller fish, while being capable enough for larger saltwater fish too. They don’t have the widest selection of models in the series, but the models they have to offer a great deal of flexibility in their use. Works great as a beginner model. The Ambassadeur C3 reel has been around for a while now and is one of the best selling reels ever. It has recently received an upgrade to its design and performance, with a baitcast system that comes in two models: the 5500 and 6500. The gear ratio is designed specifically to help achieve greater casting distances and accuracy, and comes in at a bit more expensive than the Okuma Trio or the KastKing Rover. One of the reasons the Ambassadeur C3 reel has stuck around for so long is because it is highly durable, able to maintain its performance through a long day of hard saltwater fishing. It uses simple but effective engineering with a stainless steel 3+1 ball bearing system. The Ambassadeur C3 can take some punishment, but takes a lot of regular care and maintenance in order to maintain its lifespan. It just doesn’t have the same watertight design as other best saltwater reels, and the salt and water will eventually start eating away at it if not properly cared for. That said, with proper care it can work reliably for a long time. One of the best selling reels ever, and the roller system makes retrieving smoother and with less strain. It is very easy to cast and delivers lots of power for retrieving bigger saltwater fish. The ball bearing system maintains smooth casts and retrievals, and has a highly reliant drag system. It is one of the best big fish wranglers you can buy, with strong anti-reverse bearings and a lot of torque to help you reel in the biggest fish. The anti-reverse bearings and strong braking system makes the Ambassadeur C3 a very easy to use reel for beginners, and can be used reliably for freshwater fishing in addition to saltwater fishing, making it one of the top 5 best saltwater spinning reel for the money out there. 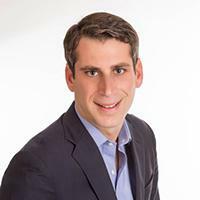 Steven Seigel is the owner of Ultimate Fishing Charters in Miami. He has been providing clients access to the highest quality luxury fishing charters nationwide, and have a love for travel. Steven has worked with a wide array of world travellers including fishermen, families, first timers, corporate groups, VIPs and celebrities. He went from specializing only in day charters, to higher-end multi-day charters in a number of exotic locations and offers the most exclusive fishing & diving packages available around the world. Steven love to share his travel advice and stories with the novice and more advanced adventure seeker, and hope to continue doing it for many years to come.